Was born in 1922 in Kursk. He graduated from the art studio guided by Likhin,Repin's disciple. 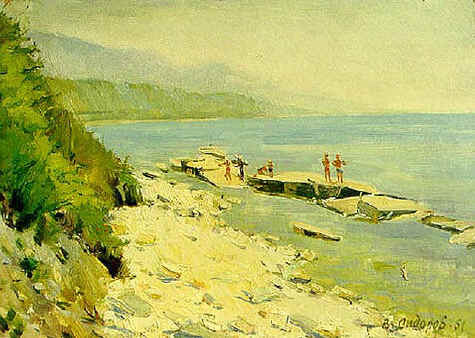 In 1950 V.Sidorov graduated from the Krasnodar Art school. World War II veteran, decorated with the "Great Patriotic War" order and medals. Since 1978 he is a member of the Union of Artists of Russia and since 1996 -an Honored Cultural Worker of Kuban. He is a participant of city, regional, republican and All-Union exhibitions and foreign auctions. His works were purchased by Ministry of Culture of Russia, the Kovalenko Art museum, Krasnodar; private collections in Russia and abroad.